On February 11, 2013 Gia Hoa Ryan and Lt. Colonel Joe Meissner with Vietnamese Garden committee members Debbie Hanson and Dan Hanson met with Cleveland Cultural Garden Federation President Sheila Murphy Crawford to look at potential garden plots. After viewing several plots, they enthusiastically selected the current land. See more from the Garden selection day. 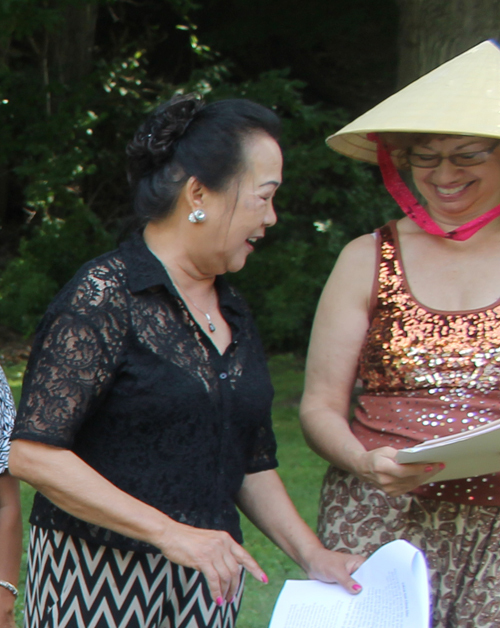 Since then the Vietnamese Cultural Garden committee had organized and grown. Giahoa Ryan is president of the committee. Oahn Loi-Powell is Vice-President, Marcia Nolan is 2nd VP, Joseph Meissner is Treasurer and Will Sanchez is Secretary. 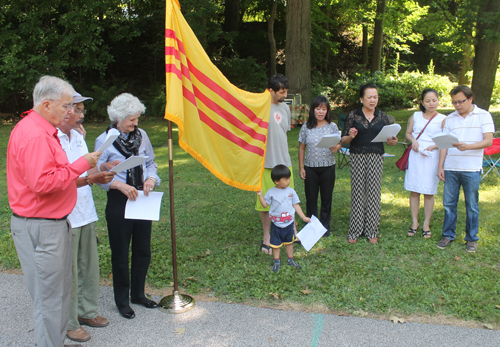 They were joined by others from the Vietnamese American community in Cleveland on the future site of the garden on MLK Blvd. 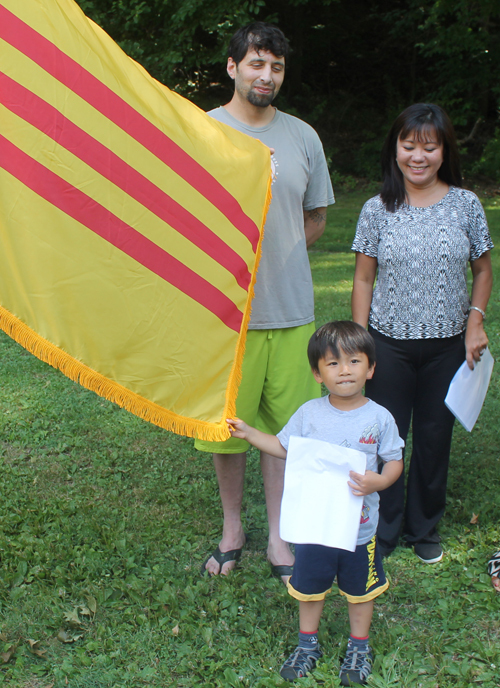 on Sunday August 9, 2015 to salute the flag and make plans for the Vietnamese Garden. 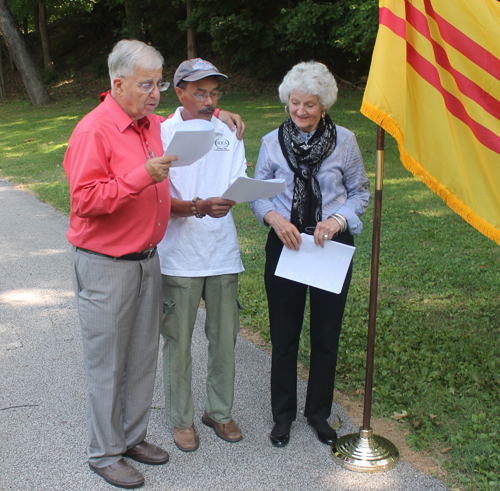 They gathered around a flag representing all of Vietnam and sang Tieng Goi C�ng D�n, which was the national anthem of South Vietnam from 1948 to 1975. It is now called the "Anthem of Free Vietnam". 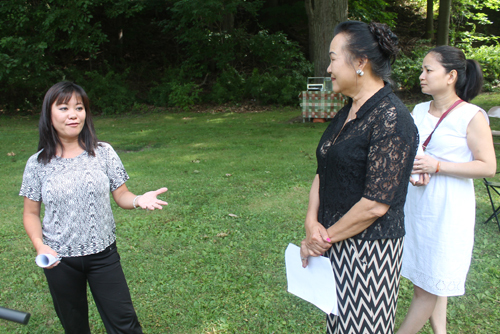 Chair Gia Hoa Ryan and Vice-chair Oanh Loi-Powell told members of the Vietnamese Cultural Garden Committee of the Cleveland Cultural Gardens about the theme of the future garden. The theme will be the Dragon and the Fairy. Lt. Colonel Joseph Patrick Meissner gave a few historical notes about Vietnam such as how the Vietnamese people go back at least 4,000 years. 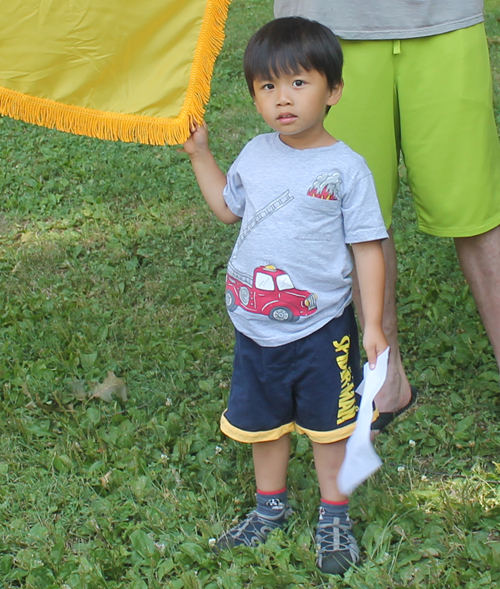 Le Nguyen has been a leader in the Cleveland Vietnamese community for decades. 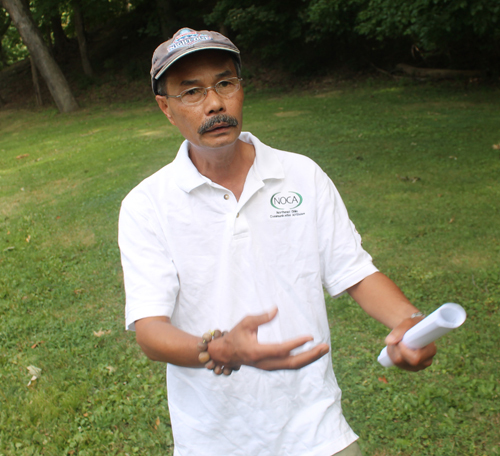 He is part of the Vietnamese Cultural Garden Committee of the Cleveland Cultural Gardens and spoke at the flag raising ceremony and meeting on the site of the future garden. Vietnamese Cultural Garden Vice-chair Oanh Loi-Powell spoke about One World Day at the future site of the Vietnamese Cultural Garden in the Cleveland Cultural Gardens. 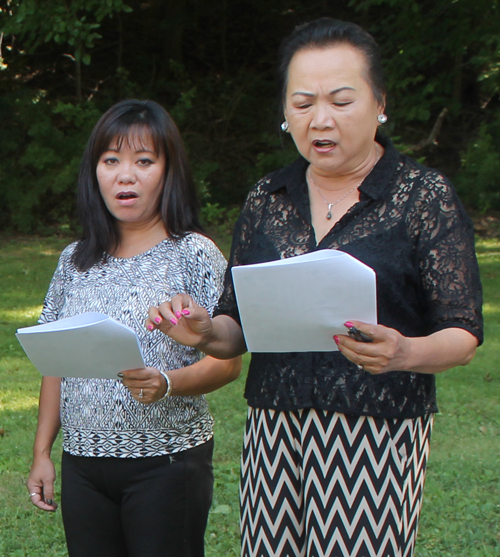 Members of the Vietnamese Cultural Garden Committee spoke at the future site of the Vietnamese Cultural Garden in the Cleveland Cultural Gardens. 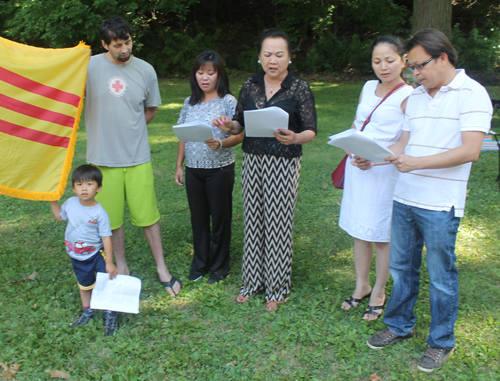 This included Marcia Nolan, Laura Fruscella, Will Sanchez, Dan Hanson and Quan Ngoc Phuong Lam and family. 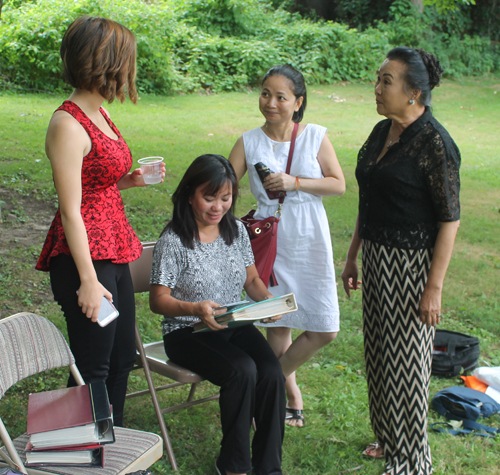 After the ceremony, a board meeting was held to further the progress of the Vietnamese Cultural Garden in Cleveland. 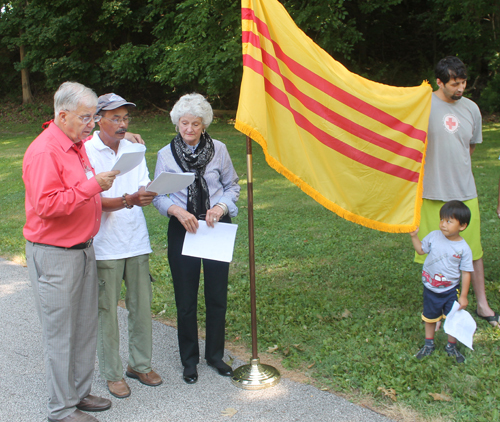 Stay informed about the local Vietnamese community by signing up for the free Cleveland Vietnamese eNews mailings. You can select other groups as well. It's easy and free.